We are one of the preeminent manufacturers, wholesale suppliers and exporters of an incredible range of pharmaceutical syrups, which is immensely used worldwide for the curing of diverse diseases and ailments. Our high quality pharmaceutical syrups and pharmaceutical suspensions are used as expectorants, antacids, anti-diarrhoeals, antibiotics, tonics and vitamin supplements. 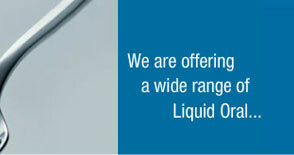 They are offered by us at pocket friendly prices. Vitamin A ( As Palmitate ) B.P. 550 I.U. Vitamin D3 ( Cholecalciferol ) B.P. 35 I.U. AMODIAQUINESUSPENSION. Each 5 ml containsAmodiaquine Hydrochloride Eq.To. Amodiaquine B.P. 50 mg.
CIROZEP (DIAZEPAMSYRUP) Each 5 ml containsDiazepam B.P. 2mg. OSON'S WORM (PIPERAZINE CITRATE ELIXIR B.P.) Each 5ml Contains :Piperazine citrate Equivalent to Piperazine hydrate B.P. 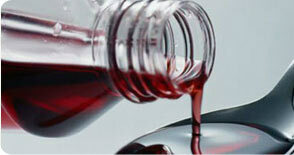 SALBUTAMOL SYRUP Each 5ml Contains :Salbutamol Sulphate Equivalent to Salbutamol B.P. ILUPHYLLIN Each 15ml Contains:Theophylline Anhydrous Alcohol 95%Alcohol content I.P. 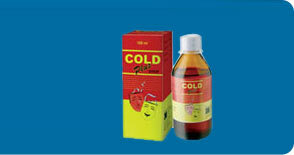 PAEDIATRICCO-TRIMAXAZOLE ORAL SUSPENSION B.P. Each 5ml Contains :TrimethoprimSulphamethoxazole B.P.